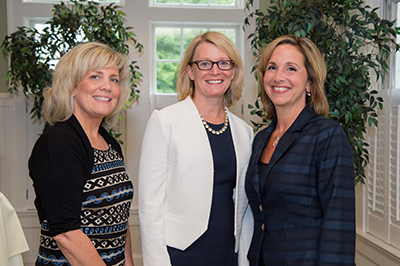 The purpose of the Winchester Hospital Foundation is to develop lasting relationships with current and prospective donors while striving to match their philanthropic interests with the evolving capital, programmatic, and operational opportunities present throughout Winchester Hospital. The vision of the Winchester Hospital Foundation is to create an institution-wide, donor-centered culture of philanthropy where all stakeholders possess a sense of ownership and pride for Winchester Hospital and willingly collaborate and partner with the Foundation to develop understanding, advocacy, responsiveness, and investment from individuals in our service area. Our philanthropy staff raises funds to support Winchester Hospital, which is a member of the Lahey Health System. All gifts to Winchester Hospital stay at the hospital. The Winchester Hospital Foundation is governed by a volunteer Board of Directors and managed by the Vice President of Philanthropy and an administrative staff. These individuals serve on a volunteer basis as members of the Board of Directors for the Winchester Hospital Foundation. The Board oversees all activities of the Foundation in support of Winchester Hospital. 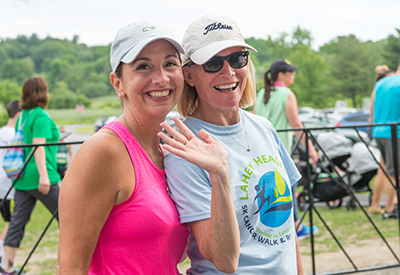 Nancy Breton and Denise Flynn ready to run in the Lahey Health 5K Cancer Walk & Run!